I had some delays getting in to SF and ended up missing lunch plans with some former coworkers. Matt and I were starving but it was just around 4 hours before our dinner reservations so we didn't want to spoil that. We ended up deciding on sushi so as co pilot, I directed Matt over the Golden Gate Bridge to one of my favorite sushi spots: Sushi Ran. I had been once before with a bunch of girls and a good amount of red wine. I'm happy to say that Sushi Ran was still as good. It sits a few blocks away from the water and has large windows that let in tons of natural light. 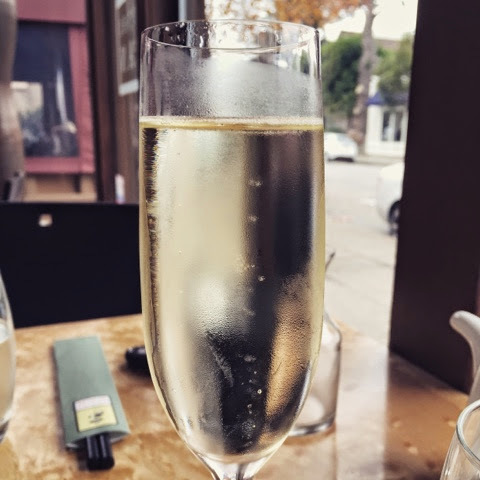 It may have only been lunch, but seeing Matt after 2 months was something to celebrate so I went with a glass of champagne. We ordered 2 rolls - both were based on the waitresses suggestion. I got a shrimp tempura roll with lots of yummy veggies. The shrimp tempura was hot and super fresh. My only complaint was how wide the roll pieces were but you can't have everything. Or can you? This roll certainly did. 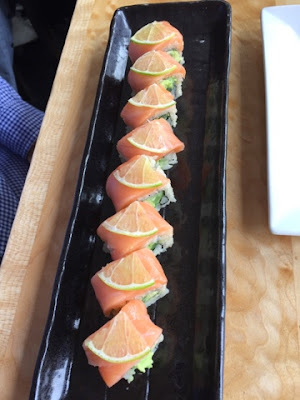 It's not on the menu but called the citrus roll. It had tuna, avocado, and the thinnest sliced lime wedge ever. 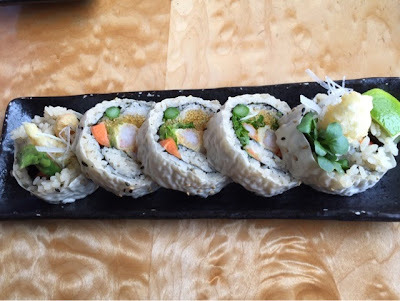 It was honestly the most delicious roll of sushi I've ever had. So fresh and packed a ton of flavor. Yum! 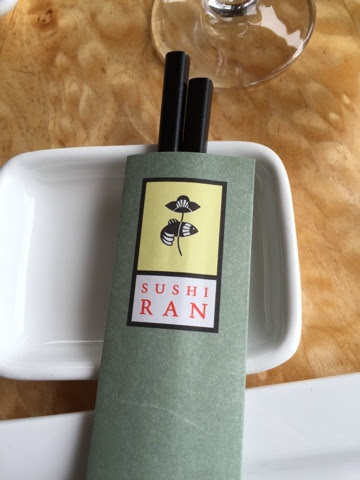 If you're in the area you have to check out Sushi Ran.